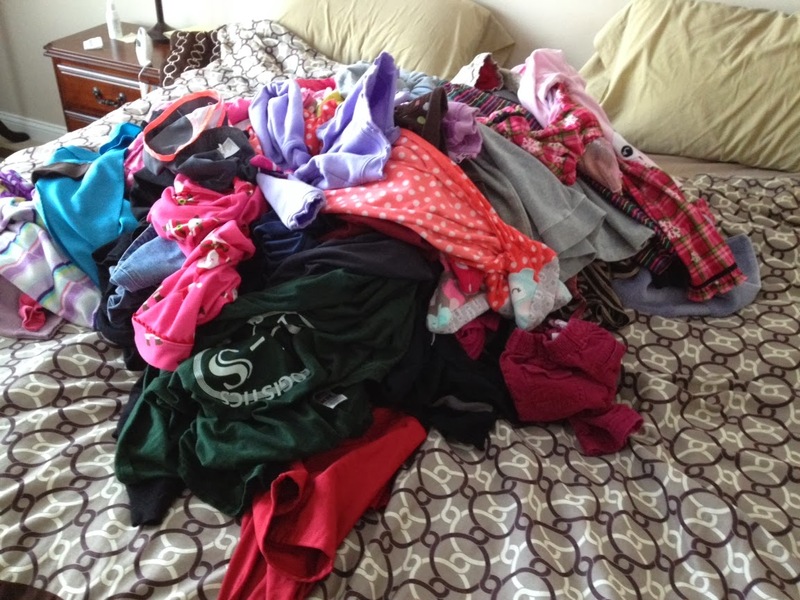 We are only a family of four, yet I have piles of laundry every day it seems. I can only imagine what it will be like when my children are older and their clothes get bigger. 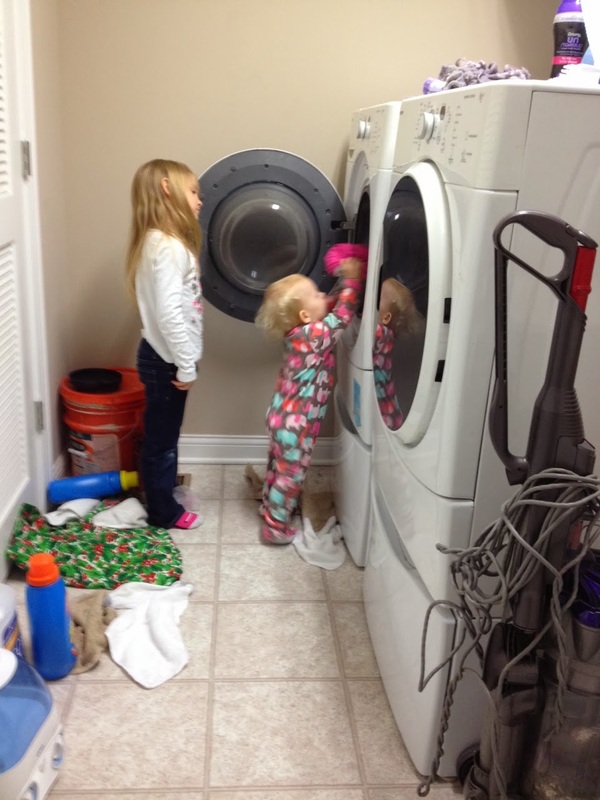 They will have to learn real quick how to do laundry on their own. I've tried to implement it into Ashley's chores, where she at least brings her clothes to the laundry room, and after I've cleaned and sorted/folded them on my bed, she is to put them away properly. This only works sometimes though, because I often do laundry while she is at school. When she is home, she is also the sock folder for all Greer socks. I usually want to get it over and done with so I won't wait till she gets home to finish. Also, Ashley has an issue with picking out clothes. Since she was about two and a half, she has been picking out her own clothes and dressing herself. She enjoys having this control, and being able to express herself through clothes (school uniforms may be tough next year!) Anyways, while she's trying on clothes in the morning, if she changes her mind, or I veto it for some reason, she takes those clothes that she wore, FOR A SECOND, and throws them in the dirty clothes. I don't usually realize this till I'm putting them away and it's too late. So she makes more laundry for me than needed. It's not like I'm about to give up this chore to anyone though. I know people probably have their cleaners/maids do this, if they are lucky enough to have one, but I will not let anyone else touch my families undies and such.